I thought that initialing the new sidewalk would only be appropriate, seeing as I’m still here, so many years later. It was then that Geordie reminded me that I have an important anniversary coming up this week. It was thirty-two years ago, on September 2, 1980, when I raised my right hand and said “I will” serve my community as I was sworn in as the first junior firefighter the Evans Center Volunteer Fire Company ever had. I was 17. 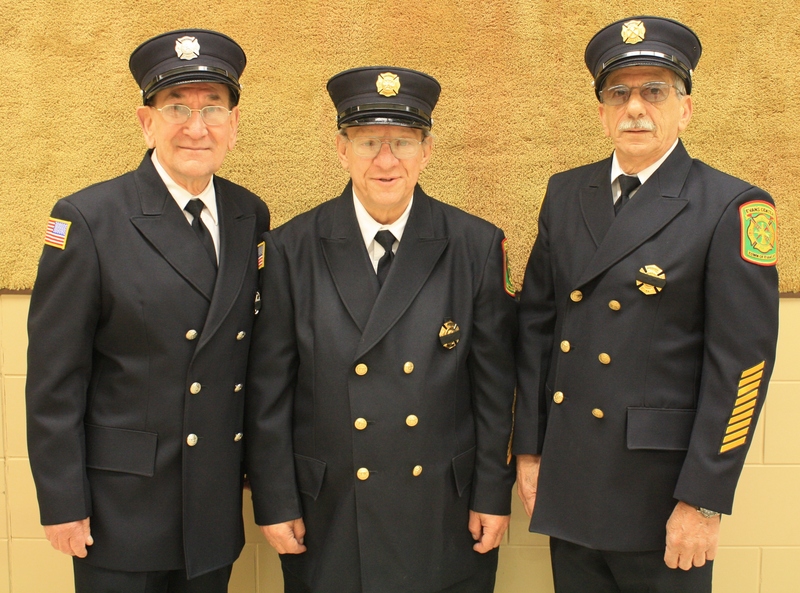 In fact, it was because of me and a few other neighbor boys: John Latimore and Doug Milks, that the “Junior Fire Company” was formed. For several years, we had been riding to calls with the fire chief and helping out more than we were supposed to and the fire company decided that it was in their and our best interest to formalize the relationship. Four months later, I raised my hand again and was sworn in as a “senior” firefighter when I turned 18. I kept a log book of every call I went on my first year in the fire service. Since then, I’ve had several firsts in our fire company in addition to being their first junior firefighter. Some of those “firsts” are depicted in the stories I share here and I’m sure there were a few that aren’t for publication. While the number 32 is not a traditional milestone in itself, it is hard to believe that I have been a part of that organization for over three decades, and that organization has been a part of my life literally ever since I was born on Bennett Road, across the street from the back entrance to the firehall. Like the old sidewalk they’re replacing outside our fire station, my path in the fire service has been full of both ups and downs. From the highs of truly helping people and really saving lives — to the agony we face in the streets, and sometimes in the firehouse, when our best efforts just aren’t enough, at least in the eyes of some people. Through all of it though, I have had the good fortune of always being surrounded by great people who have had a deep and profound impact on both my personal and professional life. I already mentioned John and Doug, who grew up next door in our neighborhood of 21 kids spread across three households. But there have been others. Dan Wagner was a fun loving guy who probably taught me more than I was supposed to know for my age, and his. Don Wagner was a funny guy who always gave us plenty to laugh about. They both gave us great stories that we still relive today, like the time Don Wagner was the PA Announcer during one of our summer carnivals and in the middle of a long string of “We’ve got french fries, we’ve got sugar waffles, we’ve got…” — quickly realized that a couple was having “relations” outside the camper trailer he was broadcasting from, causing it to rock from side-to-side. I’m not even sure I was a member yet when that happened, but it left a lasting impression on all of us. I never had to worry about adult role models or being surrounded by people who loved me after my mother died when I was 13 years old. John’s mother Theresa (she was no saint) and Doug’s mom Doris provided more than adequate relief and motherly love. And, even before I became an official member I was being positively influenced by David+ and Georgiann Clear, Clint and Barbara+ Soemann, Frank and Bootsie+ Forczek, and Fran and Sue Caffery. (+May they rest in peace). Frank Forczek, Bob Corsi+ and Ange Rizzuto at a memorial breakfast in 2009. Bob passed away early in 2011. 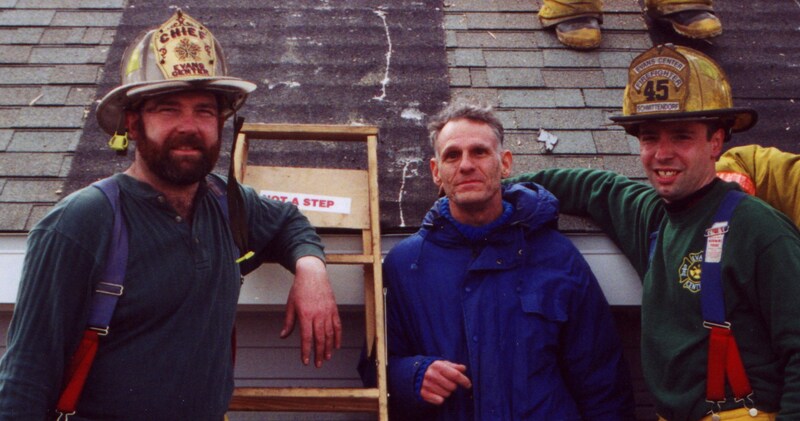 Bob Corsi+ was a pillar in our fire deparment for over 40 years, serving as both president and chief, twice each. 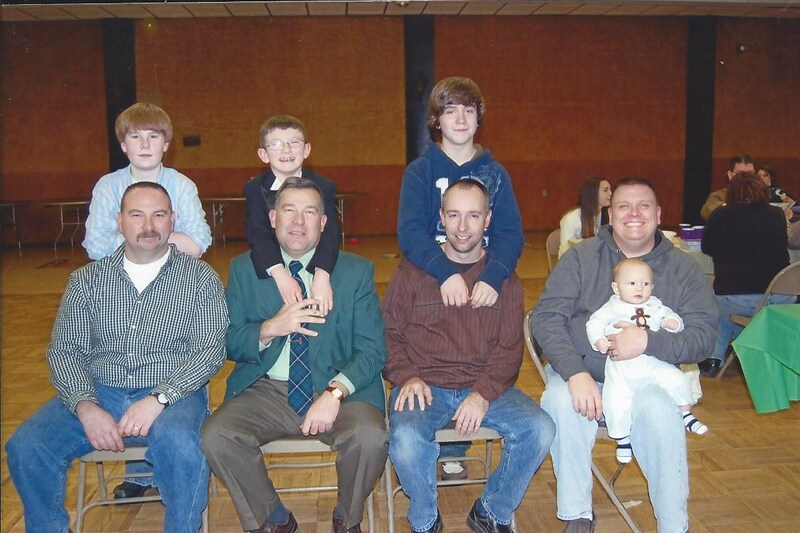 Despite the fact that he let his excitement get ahead of him sometimes, he had an unforgettable way about him and I’m not sure I’ve ever known someone as passionate about our fire company as he was. My good friend Angelo Rizzuto has been president, EMS captain, fire police captain and the voice of reason in our fire company for more than 50 years. I admire him and look up to him for his perserverance every day. Jim Ginnitti was the chief who would pick up John, Doug and I at the corner of Rte. 5 and Bennett Road anytime we heard the siren ring for a call, offering the remaining open spots on the front bench seat of his Chevy pick-up truck to the fastest two of the three to make it to corner. I am actively involved in our local Boys & Girls Club with him and his wife Mary Jayne today. I’d say they’ve had a positive influence on me. I’m thankful that Jim came back to the active ranks a few years ago after a too-long sabbatical. It’s his friendship, professionalism and positive problem solving attitude that has inspired me to hang on — to remain active this long. He was chief when I was a kid and now I have the privilege of riding backwards or in the right seat next to him as he’s our primary driver on our first out engine. I love running calls with him and think we make a pretty good team. I actually had the chance to run calls with my brother Randy for a very short while before he got married and moved away but we had fun, nonetheless. 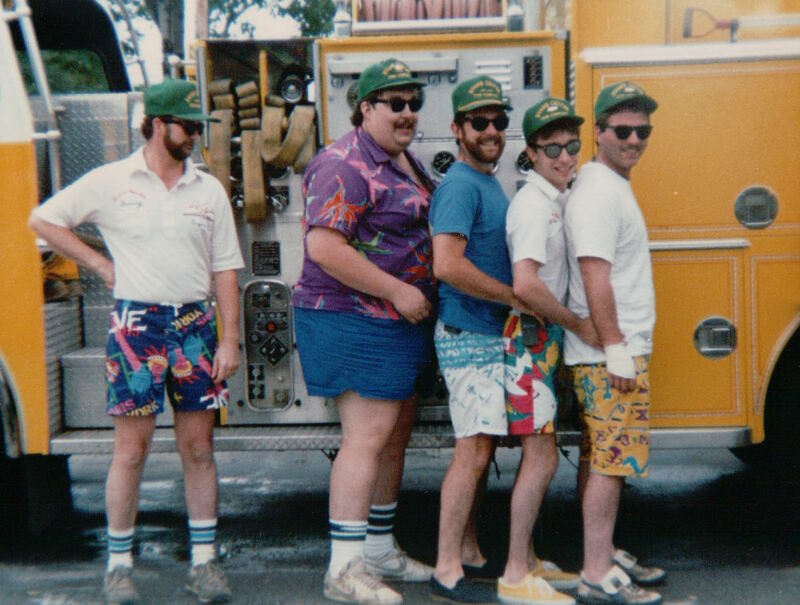 I was part of the infamous “Squad 1” that included Jim Shannon+, Lori Vass, Matt Michels and Clint Soemann Jr., and we even had cool trucker hats with “Squad 1” emblazoned on the front. We just didn’t call them trucker hats back then. We gained a reputation for being on every call and always the first ones at the station. I can’t believe they actually thought it was a good idea to delay the response of the ambulance so that other “non-Squad 1” members had a fighting chance of making it in time to respond. We were just reminiscing about that the other day. I’m glad that was decades ago, as backward thinking like that never goes on in the fire service today (LOL!). I figure I’ve known Davey Kohler since I was 8 years old when he came to Green Gables, an old-hotel that was originally built by my Grandpa Baker and much later converted into a home for indigents. It was located on the street corner between my house and the fire station. A long-time honorary member, Davey has been a fixture around the firehall ever since I can remember. His story deserves a separate post all to itself but I will just say that we could all learn a lot from his perpetual smile and attitude. Steve Kuck and I lived in an apartment where our bedrooms were described by the color of lights in the ceiling. He was fire captain (Red Room) and I was EMS captain (Blue Room) when we responded ‘hot’ to a bad wreck in the middle of the night. We both went racing out of the driveway, only to quickly realize that the address the dispatcher had given was ours. The car had landed on its side against the power pole in our front yard, requiring a delicate extrication that took several hours. And, I’ll never forget our battery powered Uzi squirt gun battles and the pool party that had everything but an actual pool. Good times. We’ve matured nicely. 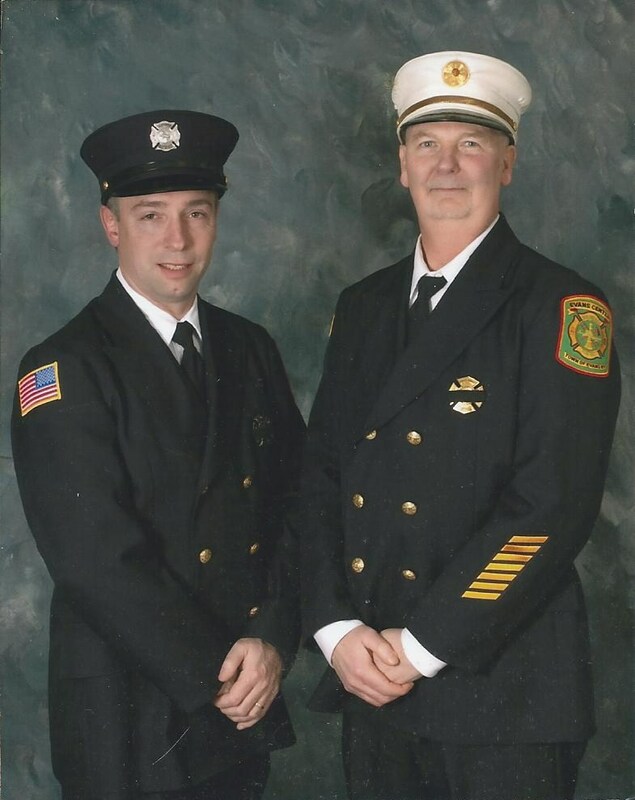 Bruce Green Jr. and I were chiefs together for four years, building a long-lasting friendship that went well beyond running calls and trying to move the fire department forward together. Though not his original choice, I played stunt-double for a groomsman who couldn’t make his wedding. Now we live around the corner from each other and I’m proud to be Godfather to his son Keegan. Keegan gave me the Iron Man action figure that’s stuck inside my helmet band to keep me safe when I’m “playing fireman.” Iron Man’s chest lights up when you press down on the action figure’s head, to light the way in those dark places we go. Dennis and I in a photo-op before our department installation dinner in 2009. And of course, there’s Denny+ and Marlene Allen. Marlene has a twin sister Darlene and their unique high-pitched and infectious laugh cannot be duplicated, but by each other. They’re the younger sisters of Mary Jayne Ginnitti and all three of them are active members of our ladies auxiliary. Darlene was Barbara Soemann’s daughter-in-law and Mary Jayne’s in-laws were Vi+ and John+ Ginnitti, founding members of the fire company and ladies auxiliary respectively. I was first assistant chief when Dennis was ‘recycling’ as chief for his second time. He was part big brother, mentor and the best friend I could ever ask for. A forty-year member, he taught me so much about valuing life, family and the gift we’ve been given of being a part of the fire service. It was a tough loss when he left us last December after surviving a double-lung transplant in 2008, and a day doesn’t go by that I don’t think: What would Dennis do? Even through the height of his debillitating illness, he would call to check on me, always asking how and what I was doing. God, I miss him. We had some great adventures together. Twenty-two years ago, then Chief John Latimore asked me to attend a county-wide recruitment meeting and come back with some ideas as to how we could put more wins in our membership’s win column. It was that single act of asking me to step outside of my own engine-room doors, out of my own comfort zone, that I credit with catapulting me to the forefront of the fire service and now to a national stage where recruitment, retention and leadership issues are discussed and solved. From that one meeting and the action plan I created, we went on to double our volunteer fire department’s membership from 45 to 90 members in four months time and are credited with contributing significantly to a county-wide campaign that netted 525+ new volunteers. 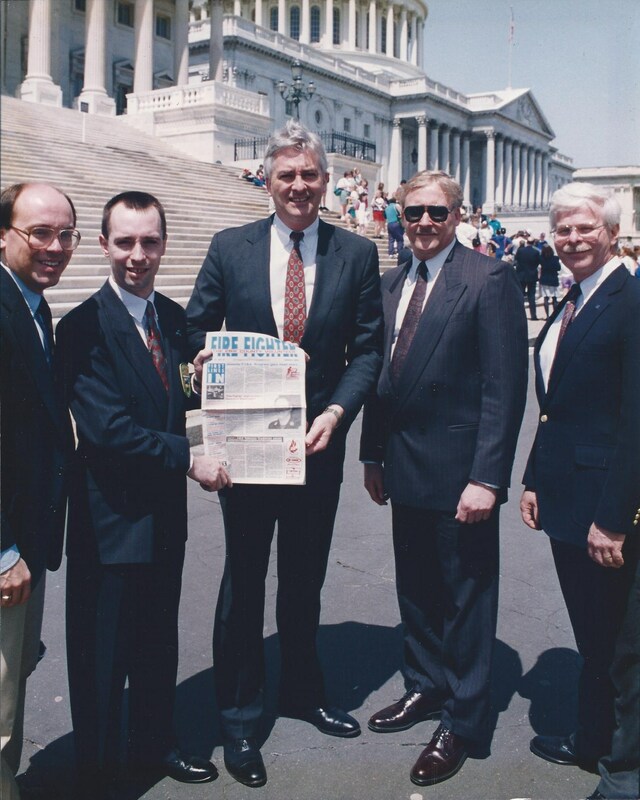 The Fire Fighter Newspaper Crew: Dave Sherman, me, then Congressman Jack Quinn, Ric Dimpfl and Jim Guy on the steps of the Capitol Building. Jack is now president of Erie Community College. A new-found friend named Jim Guy, then deputy fire coordinator, proceeded to convince me to help him, Ric Dimpfl and Dave Sherman and several others start a new venture called The Fire Fighter Newspaper. I told him he was crazy and that we lacked the know-how, resources and ability to pull it off. Boy, did I prove me wrong. I served as its first managing editor for more than seven years and it’s still publishing 21 years later. That opportunity gave me my first bunk-and-ride experience in Washington DC and the chance to be at a dinner where President Clinton spoke. Thirteen years ago I was blessed with the opportunity to make my career in the fire service. I gave up a perfectly good full-time career to come work for the county part-time with no benefits. (Nobody ever accused me of being smart). It was either do what I was doing and making a lot of money at, or do what I love. It was the easiest, most difficult decision I ever made in my life. 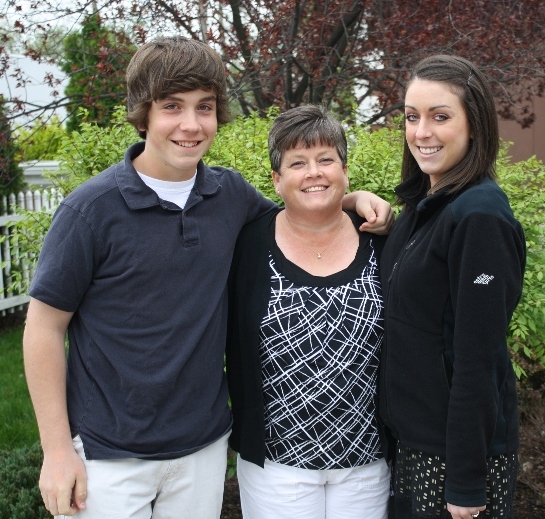 The most important people in my life. I commonly refer to them as my three-part risk management plan: Alex, Laurie and Kathleen. I have an obligation to them to make smart, safe decisions every time I answer an alarm. I succeeded Jim Guy as Deputy Fire Coordinator and in an ironic twist, he now works for me as a county fire instructor. I had the opportunity to publicly thank him for being a friend and mentor to me at this summer’s Firefighter 1 Boot Camp graduation ceremony. Pat and Ruth Davis have been great friends through thick and thin (Ruth is Steve’s sister) as have the more recent additions to our family: Jack and Lynn Krajacic; and Dave and Heather Shean. With all of them and a few others, these are the best times of our lives. The t-shirt is from Hero Rush, one of the many excellent adventures my friends Dave Iannone and Chris Hebert from Hyattsville have brought me along on. 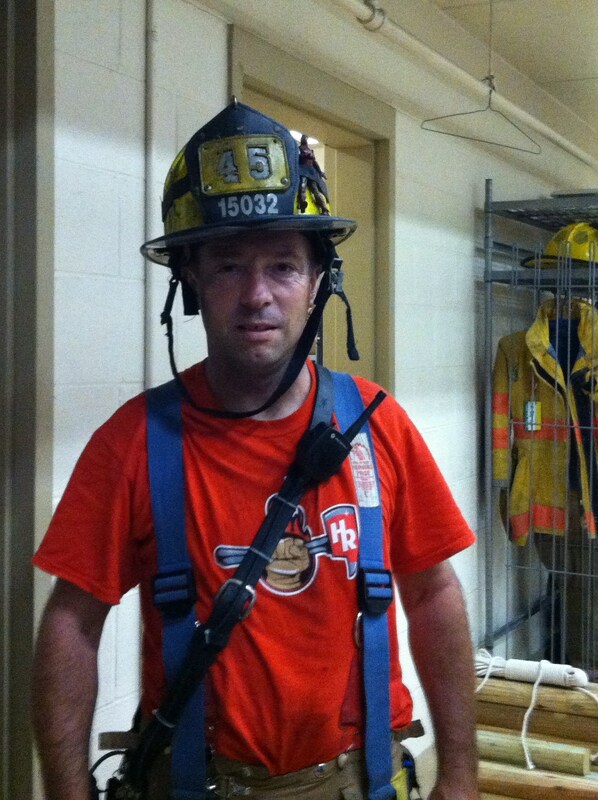 This was taken after the t-shirt caught its first working fire. I was the nozzleman on the third floor. These thirteen years have blessed me with even more great friends. 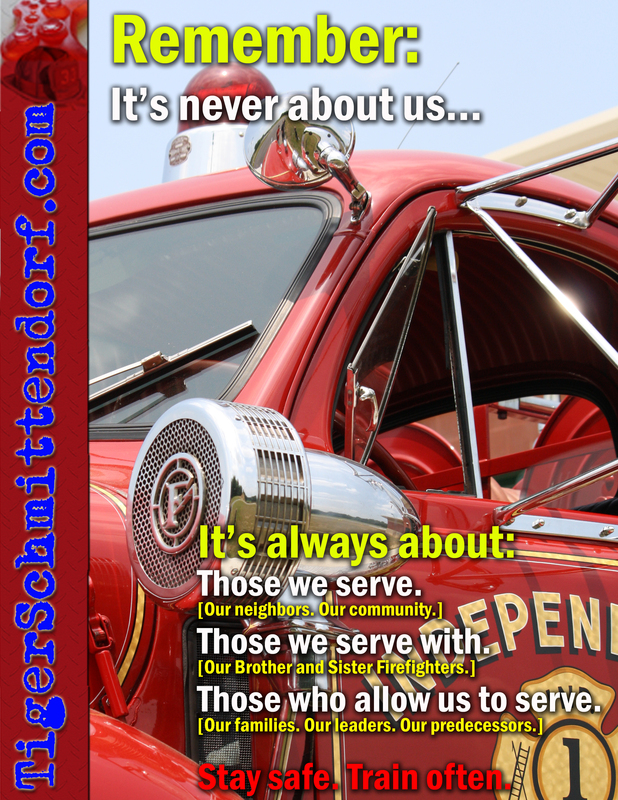 There’s a growing list of ESU team members and other fire service leaders who I routinely rely on to bounce my crazy ideas off of, and to bring things back into proper perspective for me. It’s their influence and insight that guide me every day towards the goal of doing what’s right for the fire service at large, even and especially when our fire service doesn’t realize what it needs itself. They know who they are as they’re part of my own “secret list” and I thank them for their friendship. Little do they know how much I look up more to them, even those younger than I am, for my inspiration and drive. It’s their character, sacrifice and leadership that have driven me to create projects like FirefighterStorytellers.com, this site, and SoldierFirefighter.com to strengthen the bond between these two sets of heroes — extraordinary people with common values. Thanks to all of these completely unplanned steps along the way, I now have the luxury of being invited to visit firehouses all around the country simply for the opportunity to share my story and the stories that they write by helping people in their community every day. I get to surround myself with some of the brightest minds and spirits that the fire service has to offer, all the while playing catch up in my efforts to realize that it is already not my fire service and my obligation to train my replacements. For most of my younger years, I never saw the fire service as an employment opportunity but it has turned out to be so much more than that. As I’ve told many a politician, ours is not a job, but a lifestyle, and a very interrupted lifestyle at that. I wouldn’t have it any other way. Three days from now is my fire company’s monthly general business meeting for September and we’re slated to vote in some new members. When it’s their turn to stand up and raise their right hand and say “I will” serve my community, maybe I should stand up right alongside them and raise my right hand, re-dedicating myself to serving others for, God-willing, another couple of decades. I have read your run to the curb story for the first time.I must say the memories came flooding back.So much a part of my younger days,I long to have them all return again.I recall many of the stories you told,and remember BIG JIM’S RESCUE RIG,convention,pool parties at Luscoms,carnivals,and conventions.I, myself use to run to the curb (edge of road ) to see Bob Corsi leaving for another call. 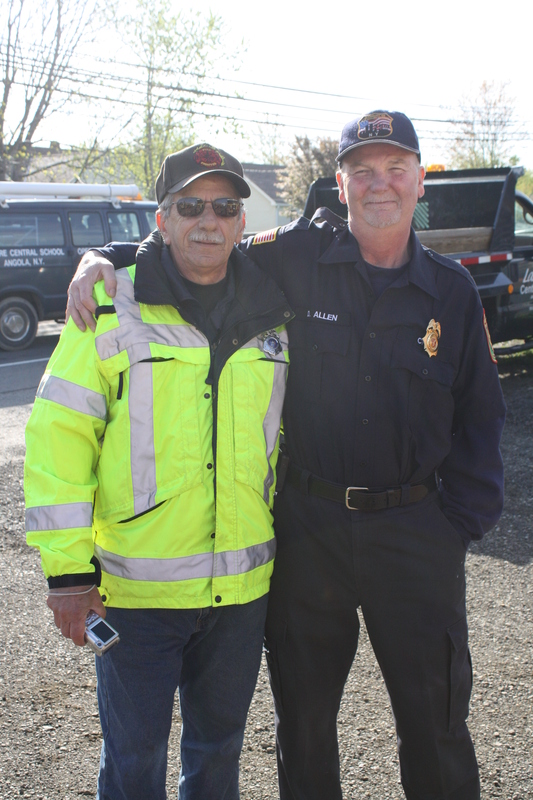 He was my mentor,and helped get me voted into the firehall when i was 18.almost 37 years ago.Who would have ever guessed that you would have taken this to a whole new levelThanks for keeping the memories alive.Keep up the great work you are doing for the fire service,and stay safe my brother.